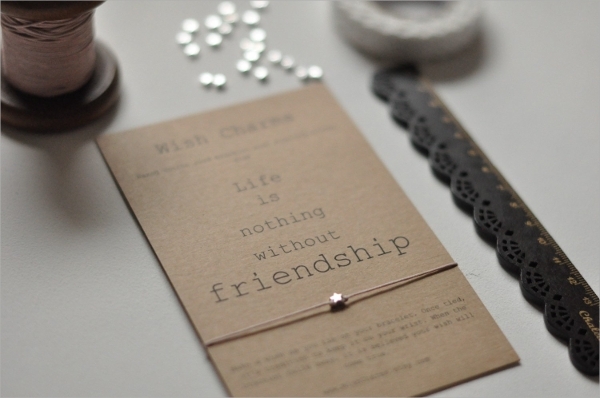 You often give a friendship card to a friend on the friend’s day or on some other nice occasion, when you feel like celebrating the friendship with the person. This is when you design the best friendship card which bears the emotions of your heart, and you want the card to be your representative to bear and express all the feelings and overwhelming emotions, which you feel for your friend. Besides, gifting a card to a friend directly, often you are encouraged by your little one to make a card for her school friend too. Whatever be the situation is you would like to make your work extra easy and perfect with the use of friendship card templates. You can also see Flash Card Template. 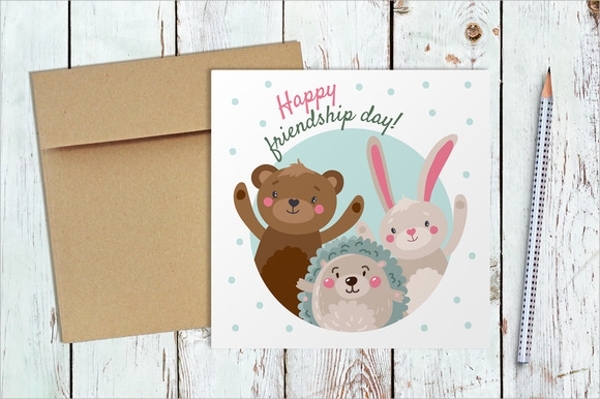 The printable form of a friendship car is to make printing of the card easy after you have designed the whole card on computer by working on the template there. You may also love to print the template only, and design and color anything over it after taking the print. This is the special format of the card, which you make just for the friendship day. 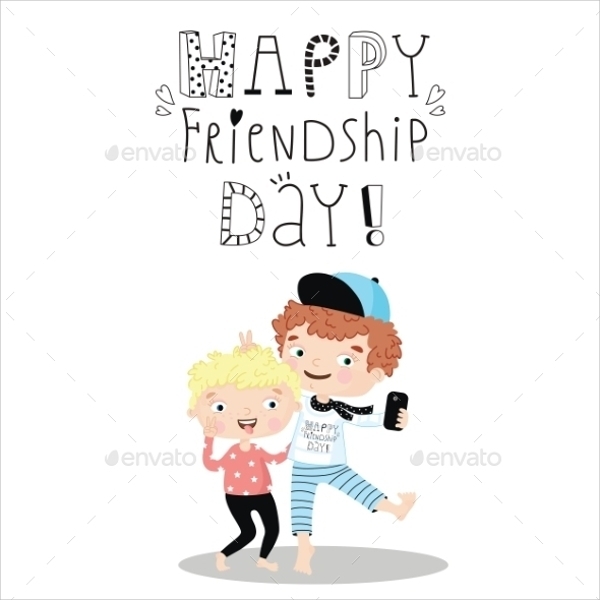 These templates have many friendship day card formats. To show your creative side to your friend, and impress all, you can download this template, and work on it to further develop and decorate it. The outlined card design is overlaid on the template. The greeting card for a friend has to be a nice design and depending on the age group the humor and funky side of the design will change, yet the typical touch of a friend giving it to another shall be expressed by the very look of the card only. Why use a Friendship Card Template? The best use of a friendship card is in making a friend feel special. When you want to make someone feel special, you arrange for gifts, flowers and cards for the person. While gift is to show your love, flowers are to show your emotions, the card is to speak on behalf of you. This makes a card the bearer of your sentiments, and emotions, and all of that is expressed well when the card has the best looks. Thus the templates offer you a nice platform to design your own card which is not yet commercialized. You can also see Bingo Card Template. 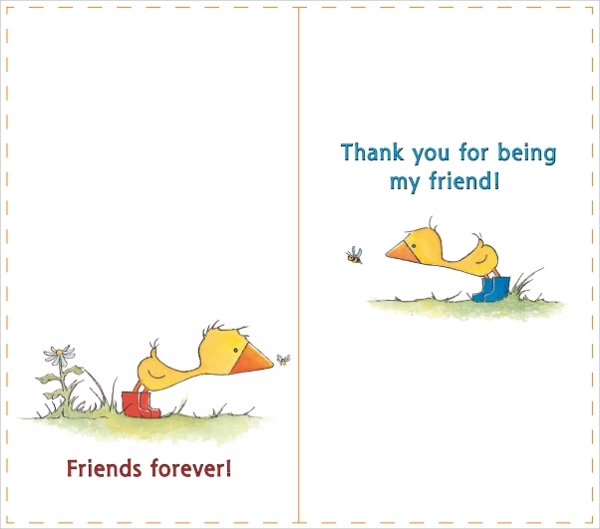 There are various designs of friendship cards which are easy to get once you visit any card shop. All major card shops and greetings card galleries have a large variety of gifts and cards. But in case you don’t want to use something which is readily available or commercialized, and want to create a different look for your friend’s card, you may choose to use this route. You can choose from the various friendship card templates which are ecard type or printable style, and work on their designs to personalize. This is one of the easiest ideas, and works for all whether you are a creative person or not. Templates make working really easy, and when you are planning to design, the there is nothing better than the templates to start it off easily. 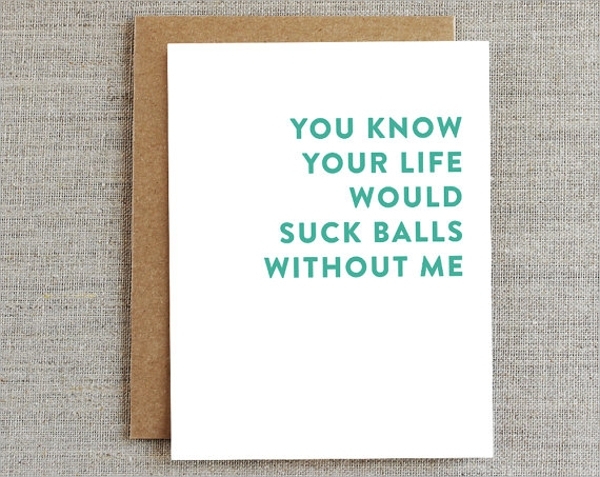 To make a friendship card with a template you must realize the occasion first, and get a template according to that. Next, you will have to download and work on the template. You may keep the same design and words within, or add more to it. When you are finished customizing you may print it or send it as an ecard to the friend. 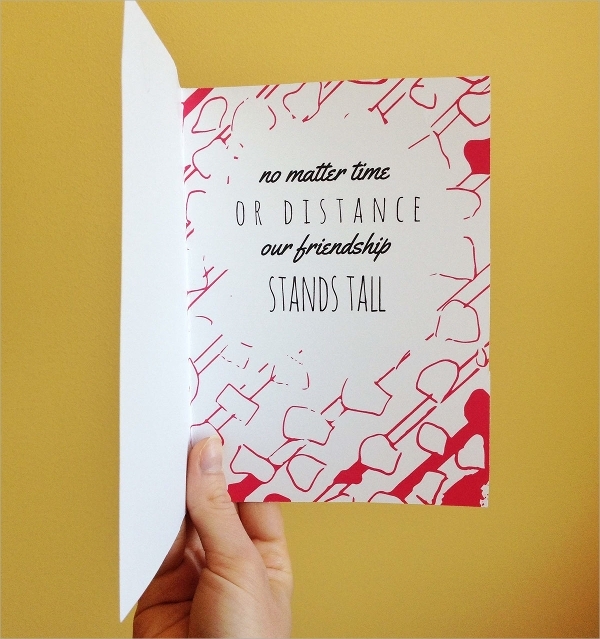 One of the best ways to plan it nice for your friend is to make use of a brilliant ecard or printable friendship card. Downloading and working on it on the computer is the easiest way to smoothly prepare a card where you have personalized it all for the friend. This will still be unique with your touch of artwork.